I have a 2014 Focus hatchback SE but it has a ST front bumper cover. 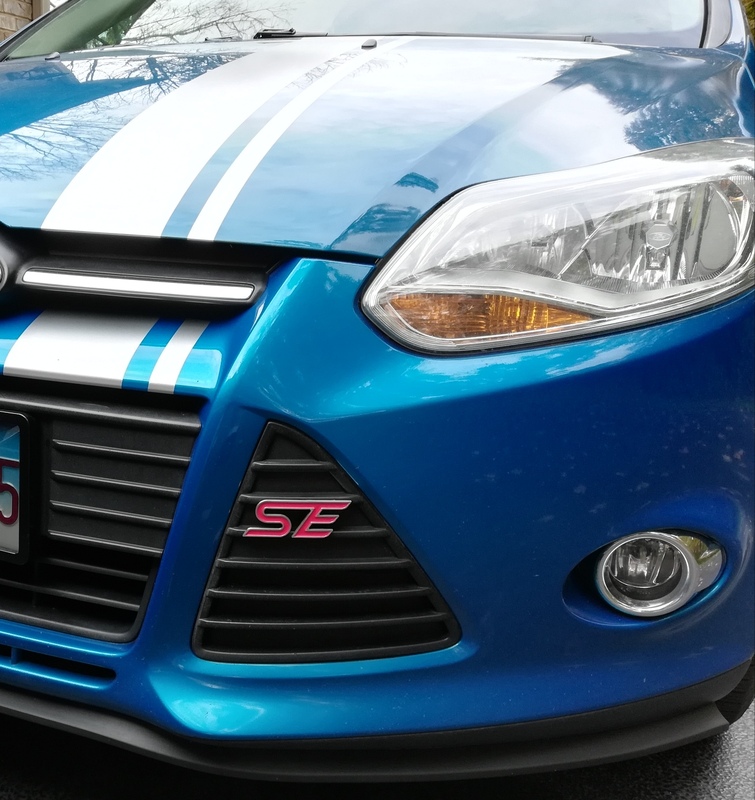 I need a new emblem / ornament for the front grille but there are two different part numbers from a SE vs ST. The pictures however appear to be the exact same emblem. Is there a different part number because they are a different size? The opening for the emblem on my car is about 5.5 inches. It looks like it sticks on as there are no holes in my bumper. This bumper has never had an emblem in it. It is new. I am looking for the blue oval on the front. The FORD emblem. I have an SE car with a ST bumper. When I look up the part numbers they are different between SE and ST.
Why are they different? Different size? Different mount?